AleaSoft and the Polytechnic University of Catalonia (UPC) have signed an agreement of collaboration constituting an Industrial Doctorate based on strategic research. This is an opportunity for both entities to work together in furthering research of Artificial Intelligence and Statistics, as both AleaSoft and the UPC share common objectives, and can benefit from each other’s potentials while simultaneously improving scientific development. Such cooperation between AleaSoft and UPC reflects their long standing relationship. 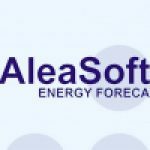 As AleaSoft was founded in Barcelona in 1999, within the context of the liberalization of the European electricity market and was the result of research projects led with the UPC (Polytechnic University of Catalonia) in the field of energy forecasting. UPC held a crucial part in AleaSoft, both as a founding member and as a technological partner. AleaSoft has developed research projects in the field of energy demand and price forecasting, principally focusing on electricity and gas. AleaSoft has been a leader in its field, investing greatly in Research and Development. Its solutions have satisfied the necessities of all actors involved in the European energy market, and continue doing so.